With 340 million users on Weibo and closer to 440 million on WeChat, social media usage in China is huge. Brands capable of connecting with and selling to this significant audience base can elicit significant ROI. 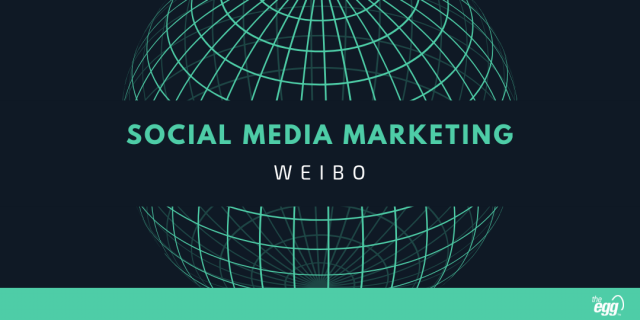 With over 8 years of experience in executing organic and paid social strategies in China for both local players and global brands, we can help you navigate China’s social environment, helping you apportion your budget in the most effective channels possible. With Western social platforms banned in China, Weibo and WeChat dominate the Chinese social market, connecting users in ways perhaps similar to Western social platforms, but with unique marketing opportunities. WeChat is similar in nature to WhatsApp. It offers instant messaging among friends, but also uniquely brands can connect with customers, although this requires brands to develop deeper relationships with brand advocates. Weibo acts as perhaps a more traditional social platform, more similar to a Twitter. Advertising opportunities here are more generally targeted. China is a huge market with a great deal of regional diversity. The Egg holds a deep understanding not only of Chinese social platform habits but also how brands can leverage spend to elicit the greatest impact. China is also a market where language plays a key role in allowing global and regional brands to connect with Chinese users. Not only can we help you better connect with consumers, but we can also assist you in creating accounts on non-English social platforms. With digital marketing specialists based in China, The Egg understands Chinese consumer behavior. This includes an understanding of the key opinion leaders (KOLs) for a multitude of business sectors, helping to ensure that your marketing dollars are going into the right channels to build your brand. Here, let’s take a look at why these ads are so popular.